More than 179,000 illegal immigrants convicted of committing crimes, including violent ones, continue to roam free across the United States, with reports indicating that these illegal immigrants commit new crimes "every day," according to lawmakers and the director of the Immigration and Customs Enforcement agency, also known as ICE. Somewhere around 179,029 "undocumented criminals with final orders of removal" from the United States currently remain at large across the country and are essentially untraceable, according to Sen. Chuck Grassley (R., Iowa), chairman of the Senate Judiciary Committee, who disclosed these numbers during a Wednesday hearing. Illegal immigrant criminals are known to be committing new crimes "every day," according to Sen. Jeff Sessions (R., Ala.), another member of the committee. The administration is continuing a policy of hiding information about this issue, as "several administration officials informed the committee they were unable to testify because the hearing wasn’t ‘in response to a particular crisis,’" Grassley said. "Whether it’s a result of protracted appeals or refusal of a country to accept its nationals back, this decision accounts for somewhere between 30,000 and 40,000 convicted criminal alien releases in recent years," Saldana said, noting that the number has dropped over time. "Many criminals remain in our communities," Grassley said. "When will enough be enough? Even those with violent criminal histories aren’t being removed as promised … American citizens are paying the price while law enforcement officers are instructed to look the other way." 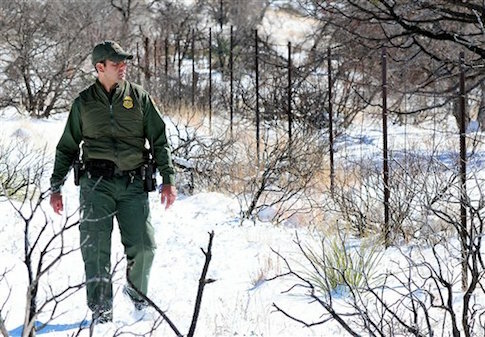 There have been "thousands of victims" of crimes committed by illegal immigrants and "many of the agency’s own officers are unable to do the job they signed up to do," he said. "Not only are total removals down, but the number of removals of criminal aliens from the interior of United States, the so-called priority, has decreased significantly," he said. "The reason for this decrease is not because there are fewer criminal aliens in the U.S. today then just a few years ago, there are hundreds of thousands of known criminal aliens in the U.S."
"New crimes are committed every day by criminal aliens, so while we’re not seeing a decrease in crimes committed across this country, we are seeing a decrease in the removals of criminal aliens," Sessions said. This cannot be blamed on a lack of financial resources, Sessions said, as Congress has increased funding. Still, deportations have plummeted and the administration is "doing substantially less with substantially more." "Our goal should be to keep 100 percent of all criminal aliens out of the United States," Sessions said. "There’s nothing wrong or controversial about such a policy." Saldana confirmed that "overall apprehensions on the border are declining" and the agency’s "removal numbers are lower than they have been in recent years." However, she maintained that the administration is removing "at a greater proportion" dangerous criminals. Of the 235,000 deportations in 2015, 59 percent of them were convicted criminals, according to Saldana, who said she is "very proud" of these statistics. Yet, she said, "there are also times when despite our best efforts" criminal illegal immigrants "get released from our custody." "ICE doesn’t willy nilly release people," she said. "We have to have a final order of removal from the immigration courts and proper travel docs to the country of origin for that particular national." "Last year ICE managed to deport just over 63,000 criminal aliens from the interior out of an estimated criminal alien population of over 2 million," Vaughan said. This entry was posted in Issues and tagged Illegal Immigration, Immigration, Immigration Reform. Bookmark the permalink.